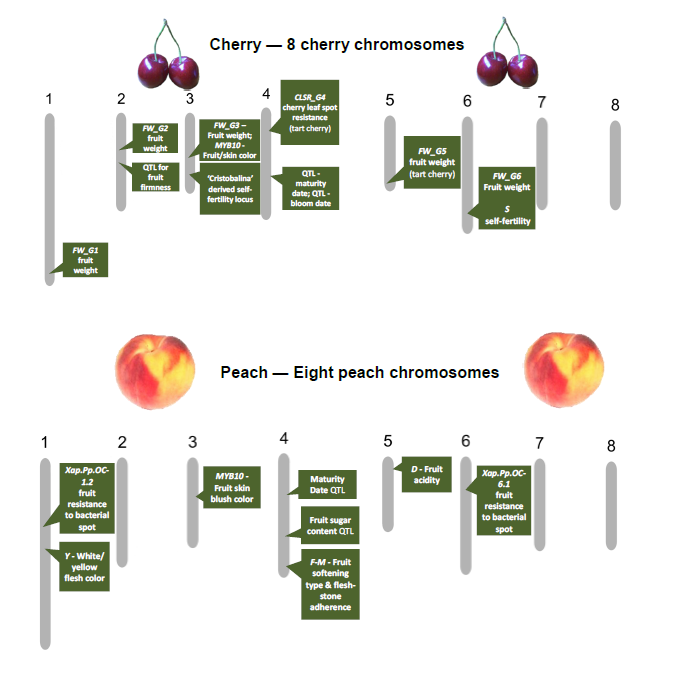 “Jewel in the Genome” is a phrase used in RosBREED to identify valuable rosaceous genetic discoveries that have been put into breeding application. The placement of these jewels is illustrated on the crop chromosomes collectively illustrating the growing genetic “necklace”. Knowledge of these jewels and their locations relative to each other is being used to increase the efficiency of rosaceous crop breeding. Putting these genetic discoveries into application has been one of the hallmark outcomes of RosBREED. 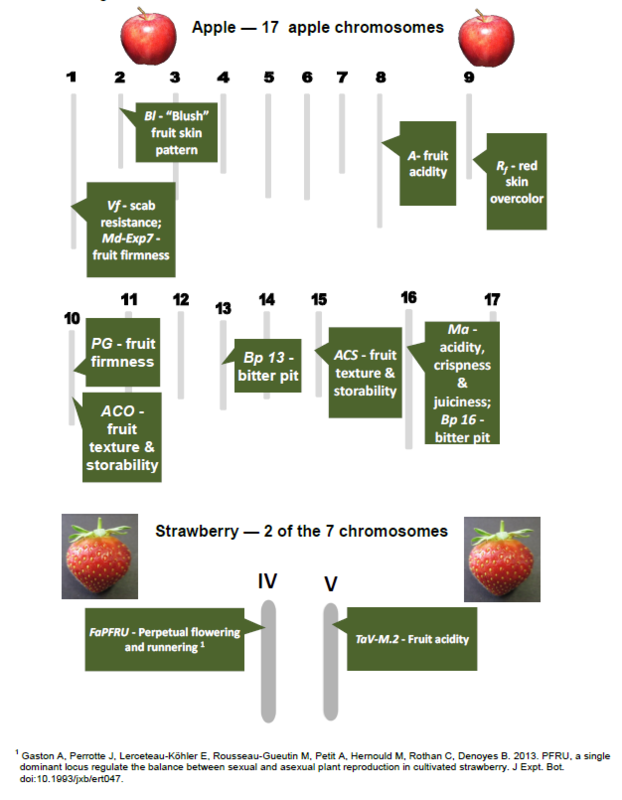 As “jewels in the genome” – locations of genes controlling critical production and fruit quality traits – are uncovered and polished, we will post their details here for you to evaluate and use for yourself. In the pages and tables here you will find functional genotypes of cultivars. If any of these cultivars are potential or actual parents for your own breeding program, then here are their underlying genotypes for certain traits! Please use them to help guide your crossing decisions! If you would like to know the functional genotype for other varieties not on these lists, such as your own advanced selections, below the tables you will find guides on how to obtain this DNA information so that it remains confidential to you.